There are a few reasons why it may have happened. The first thing to do is to check your application server logs as stated! There may be an issue with the PTWEBSERVER user or which ever user is used to start the web server. You can check this by looking at the configuration.properties file which lives on the web server under portal\web-inf\psftdocs\ps\ in the home folder of your PeopleSoft application. If the PTWEBSERVER account has been locked, or if the password has been changed, you will need to update the WebPassword accordingly using PSCipher. Note that the user specified to start the web server is specified when you install the PIA. PeopleSoft ID and Password authentication failed. Invalid password for user PTWEBSERVER@SERVER. PTWEBSERVER@SERVER is an Invalid User ID, or you typed the wrong password. User ID and Password are required and case-sensitive. Make sure you're typing in the correct upper and lower case. 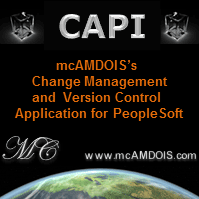 Application Server PeopleTools release (8.49.23). Access denied. If possible restart the machine. Install the PIA from PS_HOME\setup\PsMpPIAInstall. Make sure you use the same installation settings as the original installation! Check your configuration.properties file which lives in the WEB-INF\psoftdocs\<site> folder. Check that you have the correct server name and port here. Also make sure you use a host name and not an IP address. If this is incorrect. Stop the web server, fix the values and then start it back up again. This might have changed after you applied a PeopleTools patch - so make sure you backup configuration.properties before you apply a patch. Also check that the PTWEBSERVER user account is not locked.